1 Cleanse : NIOXIN Cleanser. A daily volumizing cleanser that gently removes residue and DHT from the hair and scalp to promote a healthy scalp environment. It also provides nourishing vitamins, proteins and amino acids. 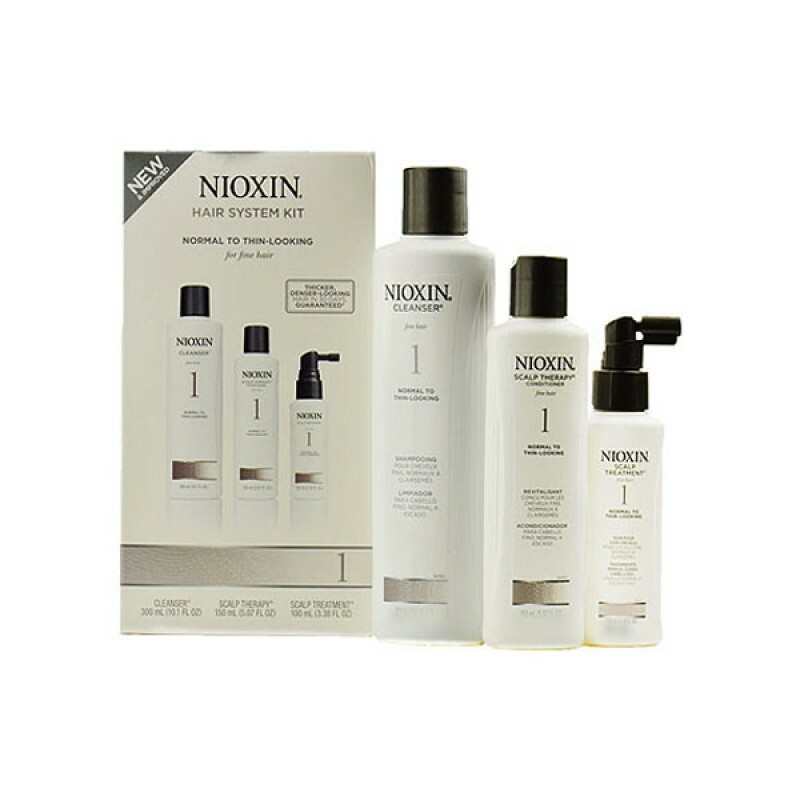 2 Moisturise : NIOXIN Scalp Therapy A daily volumizing hair and scalp conditioner that moisturizes and energizes while promoting a healthy scalp environment with soothing essential oils, special anti-oxidants and enzymatic complexes. 3 Nourish : NIOXIN Scalp Treatment A daily leave-in scalp treatment that delivers essential botanicals, nutrients, antioxidants and vitamins onto the scalp and hair to help safeguard against residues and DHT buildup on the scalp. May cause temporary redness after application. • Transactive Delivery System delivers essential nutrients onto the scalp which improves the appearance of thinning hair and creates an environment for fuller, healthier looking hairs. Review "Nioxin Starter Kit 1"